Key locking Cranked Hoppe Tokyo espag window handles. Discontinuation notice: product now available in limited sizes and colours. 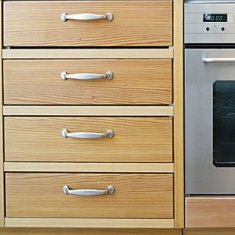 These espag window handles are made by Hoppe, a top European manufacturer. 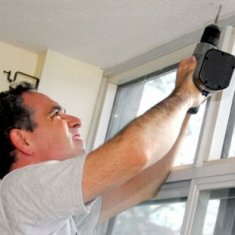 Used on double glazed windows where an espag lock mechanism exists. View more Espag Window Handles. Supplied with a cover cap and key. 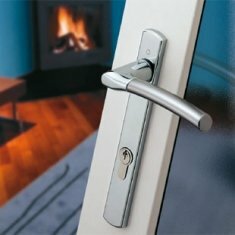 Push button locking ensures a form of lock, the key deadlocks the window handle. 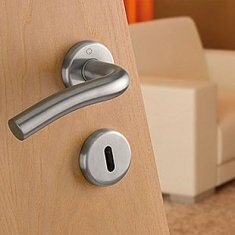 This is a standard espag handle with a 7mm square spindle and with fixings 43mm apart (centres). Handed to give you more hand clearance. 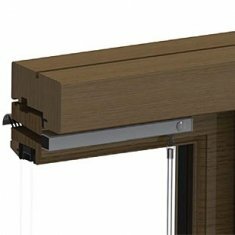 Hoppe Tokyo espag window handles have been around for a very long time and offer reassurance and longevity. 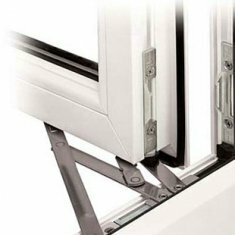 Most modern day windows are double glazed with espag window locks and whether upvc, aluminium or timber this handle can fit all of them as long as you measure the spindle length correctly. 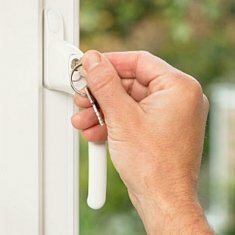 A popular handle referred to as an espag window handle is used where windows have locks around the perimeter of the opening sash - turning the handle turns the locks! Pushbutton Lock - hold position when engaged in closed position. 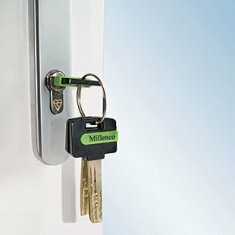 Key lockable - all keys are the same. Fixings are standard at 43mm centres. The following special offers are available to you when you buy the W02 Hoppe Window Handle. The discount for the special offer will show in the cart if both the W02 Hoppe Window Handle and the special offer product are added.